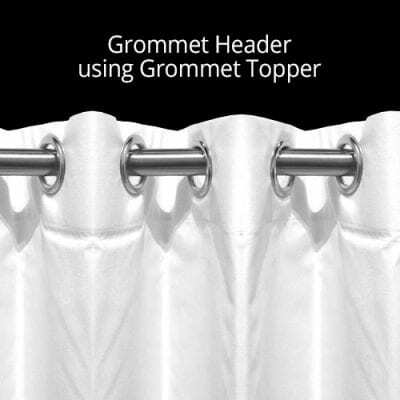 The Topper panels were designed to be easily hung and have the ability to be configured in several different ways: rod pocket, loop pleat, rings with drapery hooks, and grommet headings. 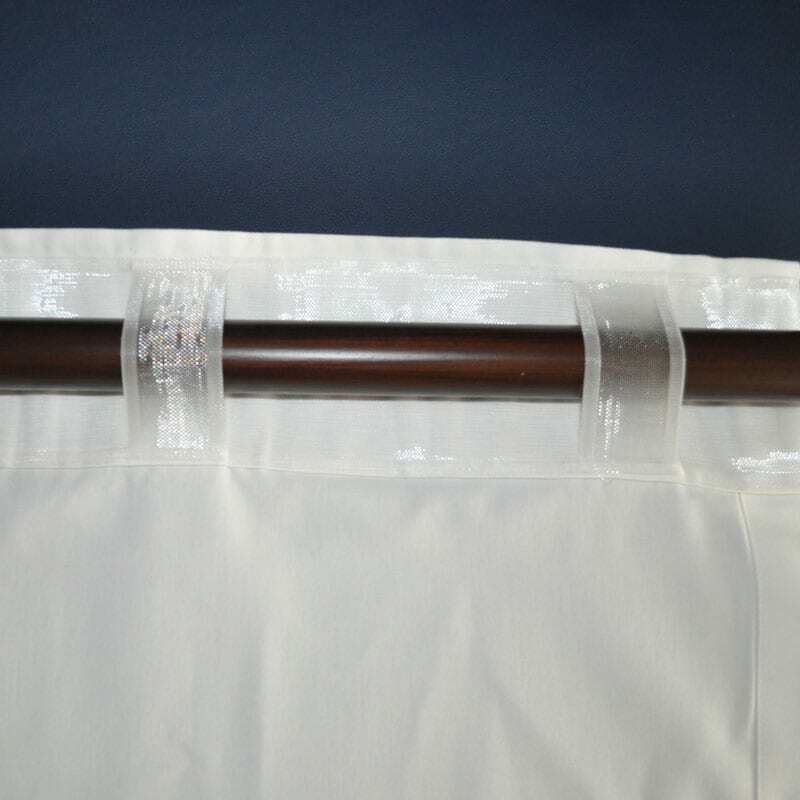 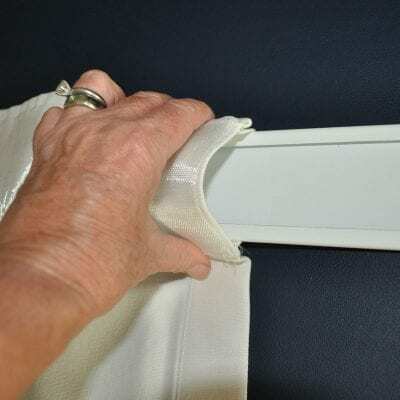 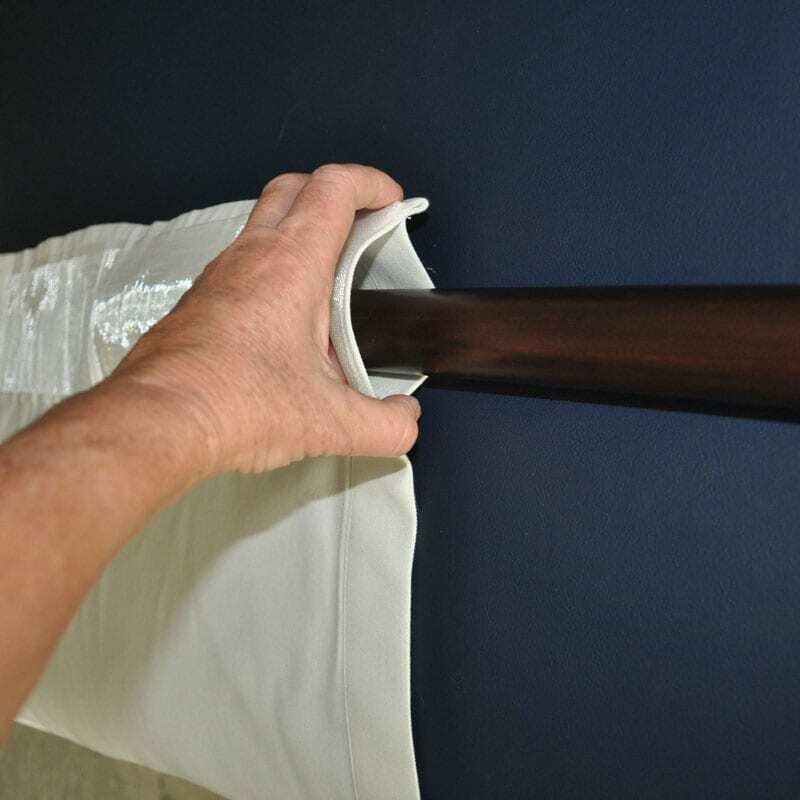 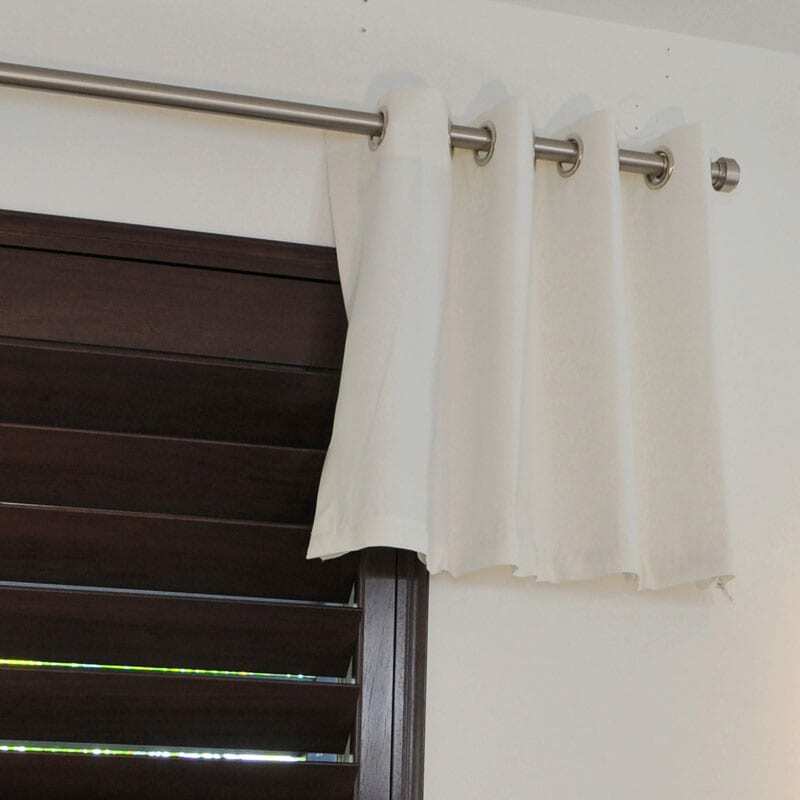 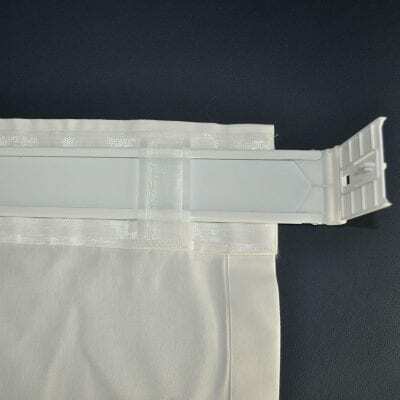 The Extension panels are easily zipped to the Topper and to each other allowing you to adjust the length of your drapes in 24" increments. 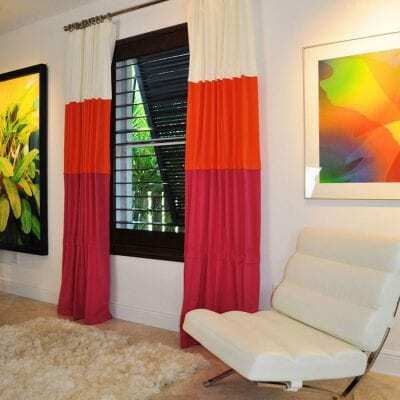 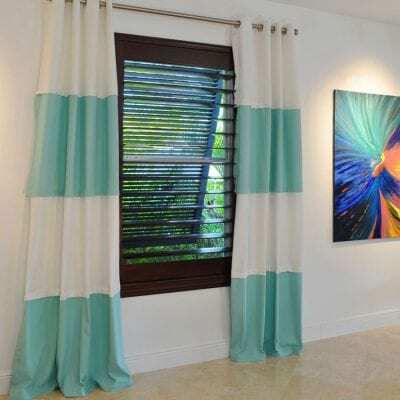 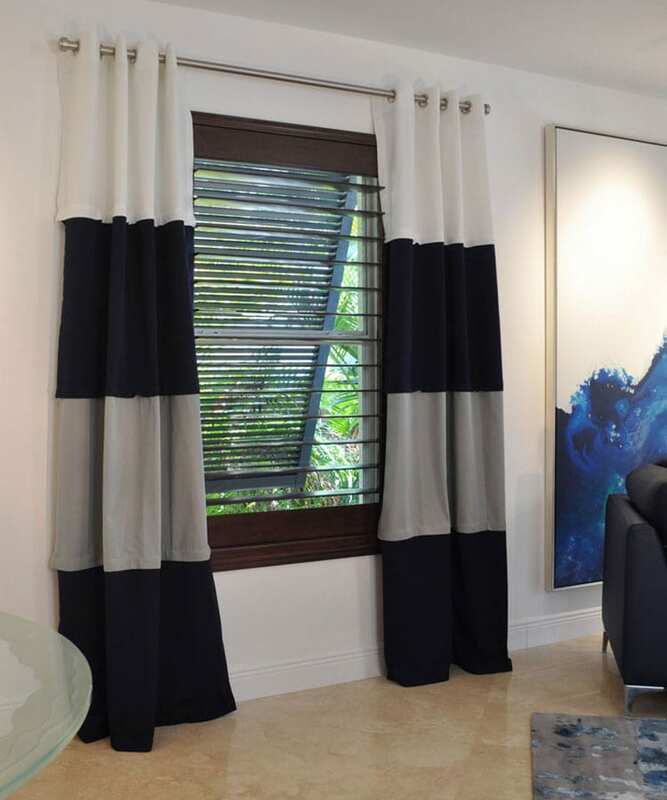 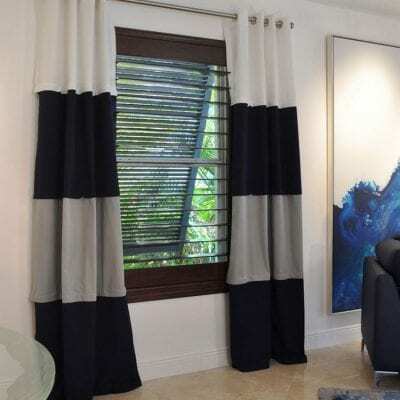 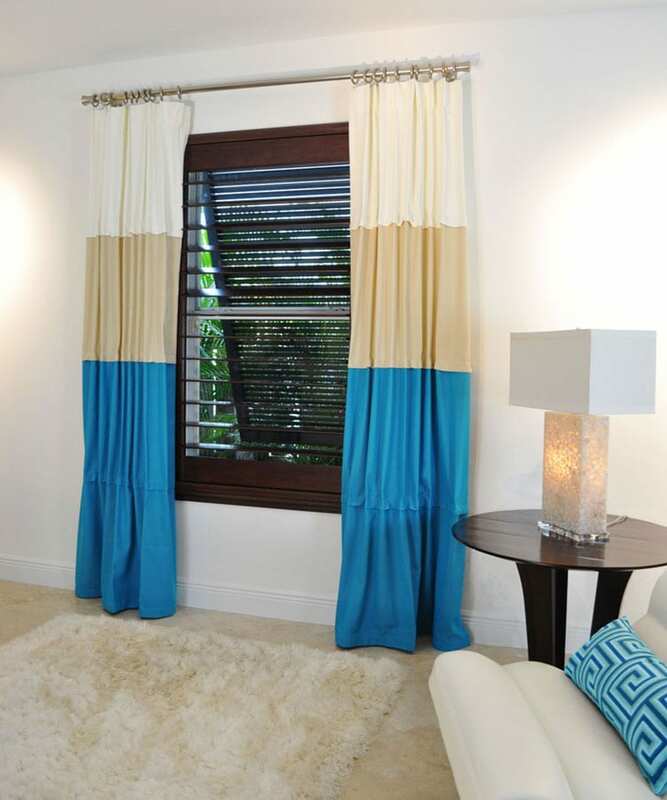 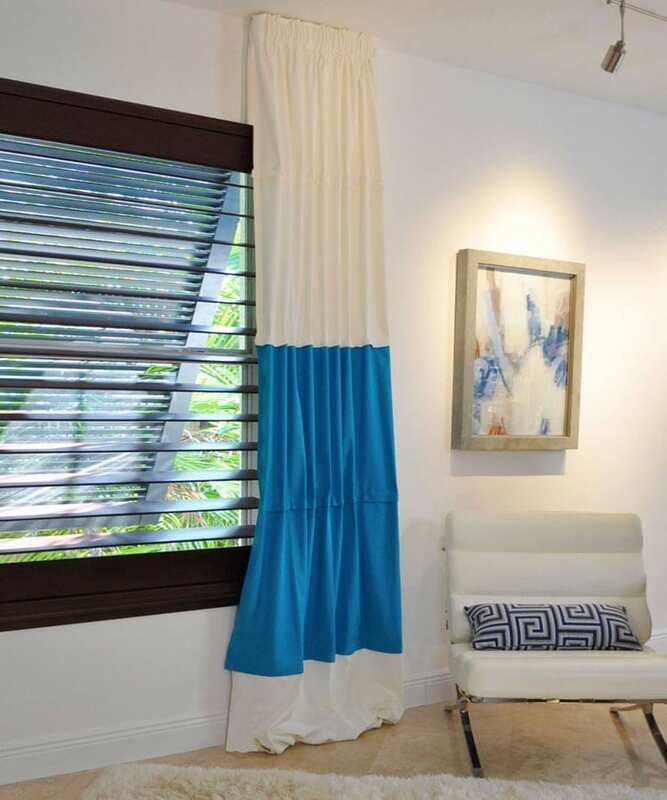 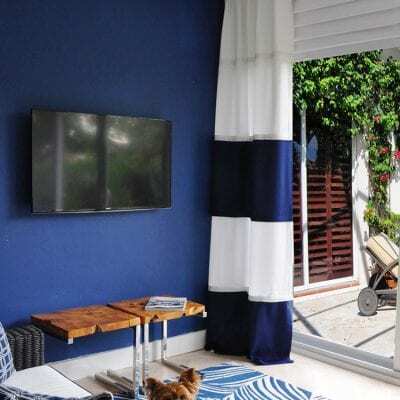 With interchangeable color panels and a variety of header options, Zip.Drape is a quick and creative way to update your room or patio decor. 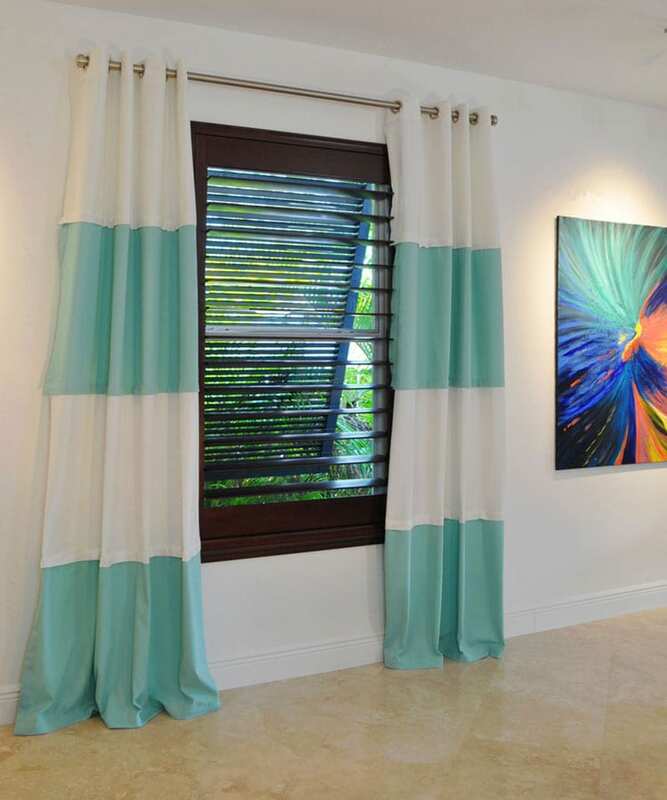 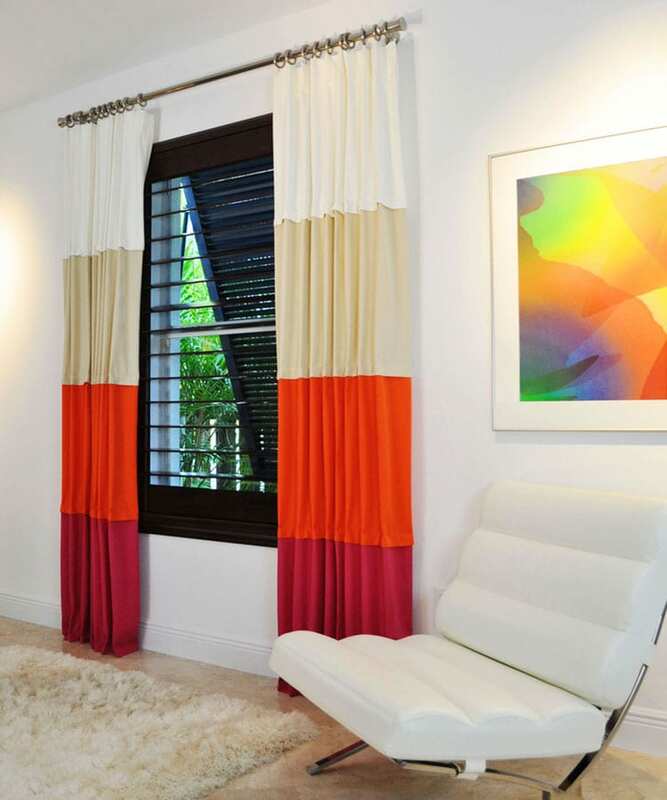 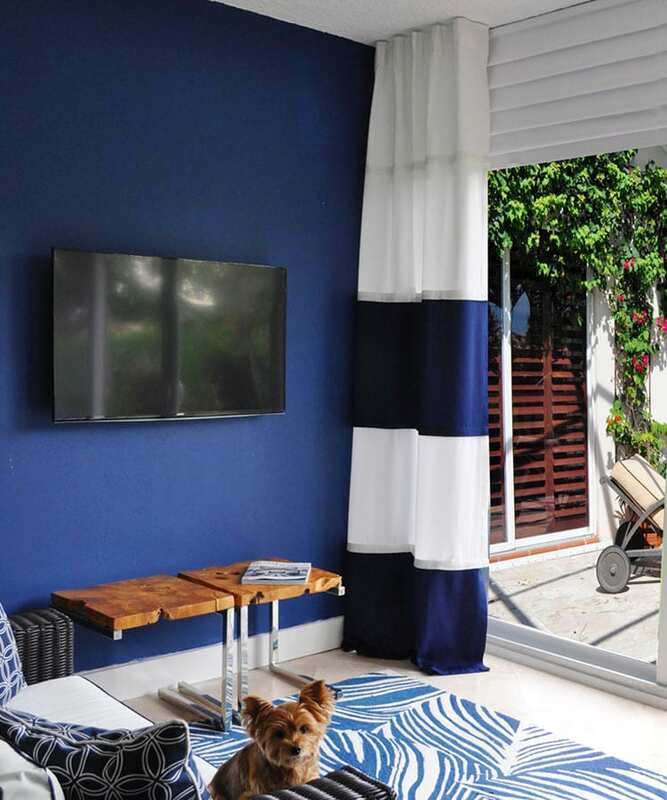 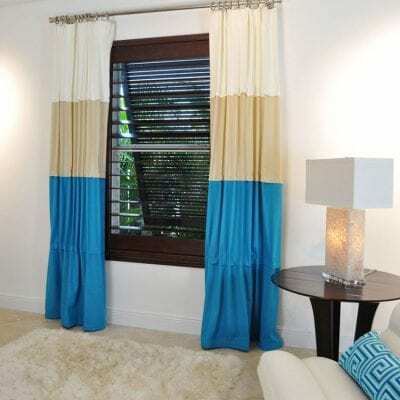 Change out a few panels to give your room a fresh look or color block for the seasons. 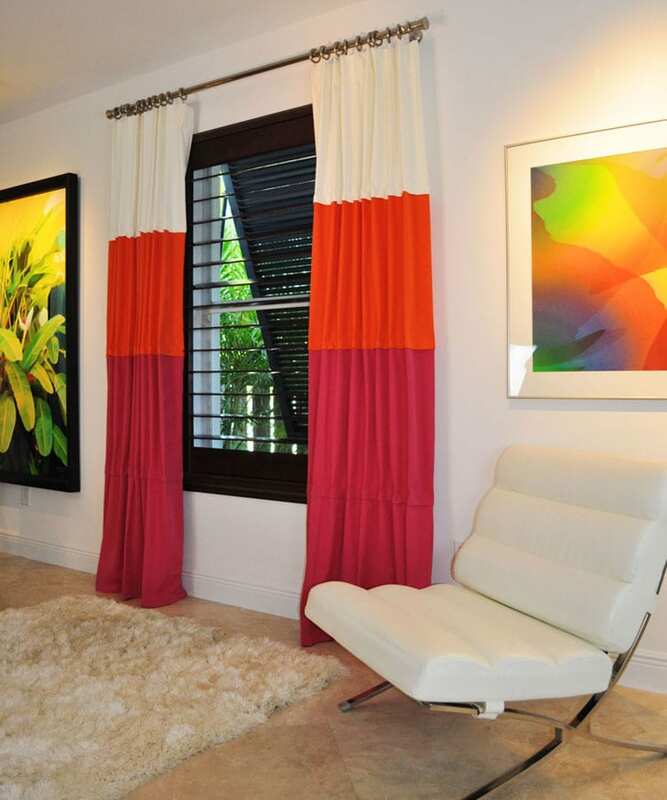 Visit our Photo Gallery for inspiration and ideas. Our step-by-step online order form will walk you through the selection of your topper, extensions and colors. 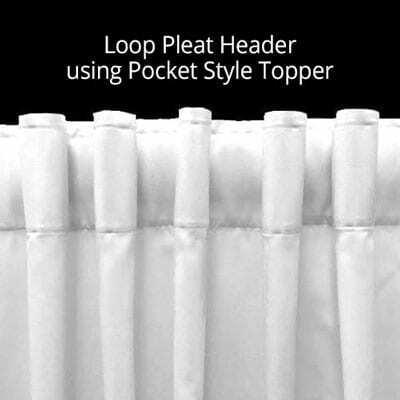 Our Zip.Drape Toppers are available in two styles that can create 4 different Headers. 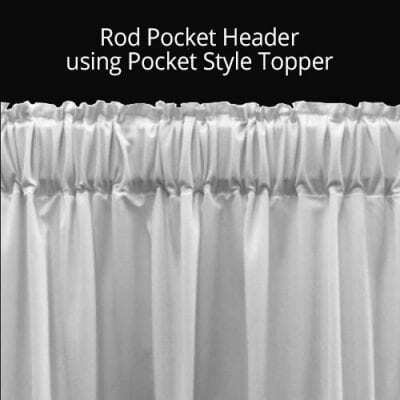 The versatile Pocket Topper creates 3 different looks: Rod Pocket, Loop Pleat and Pleated with rings. 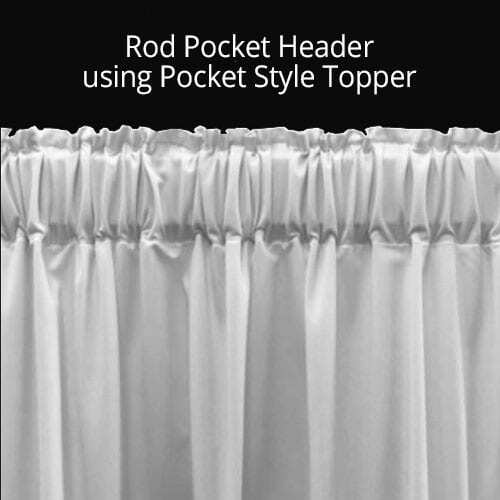 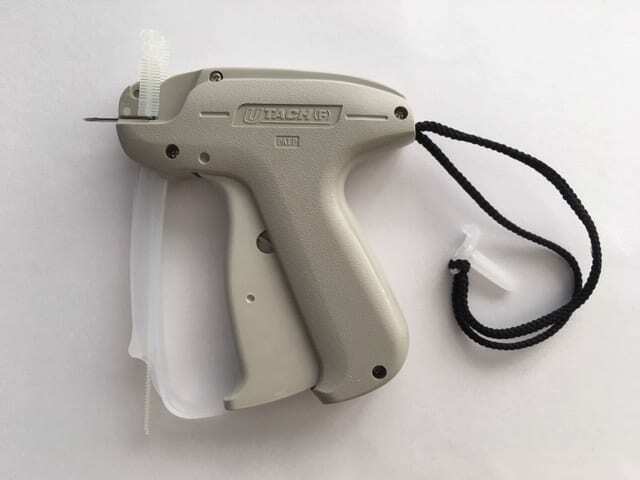 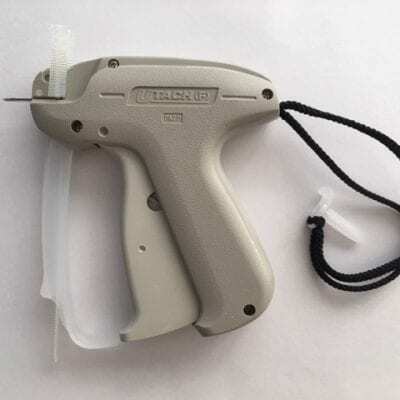 The Pocket Topper has both a rod pocket and loop tape both of which can be used with a round or flat continental rod. 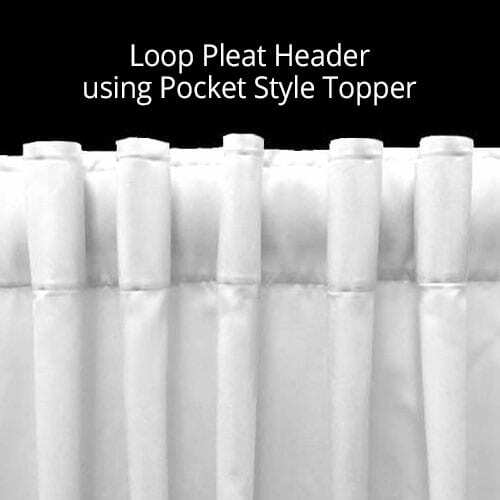 The rod pocket creates a pencil pleat while the loop tape creates a ripple effect. 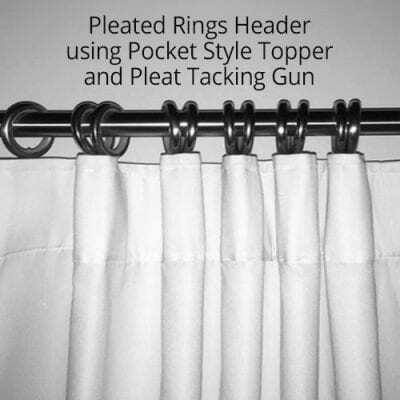 You can also create a pleated with rings look using a pleat tacking gun and drapery pins or alligator clips to hang the rings (pins and clips not included in the package). Our Grommet Topper is available in a nickel finish and has a an inside diameter of 1-9/16”. Rod shown in photo below is 1-3/16" diameter.